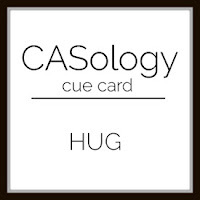 You make two cards using the same stamps and/or dies but for two different occasions. 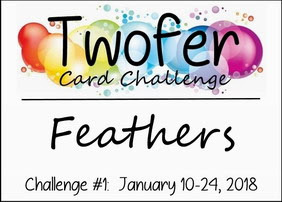 And this month's prompt is feathers. 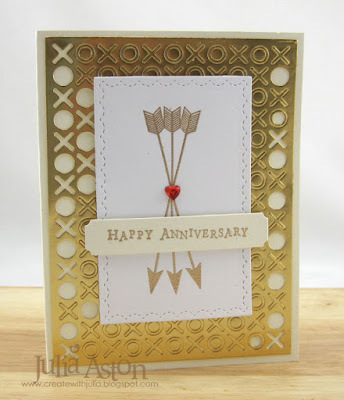 For my feathers I used arrows (I know they probably don't make the ends of arrows with feathers anymore - but they used to!) 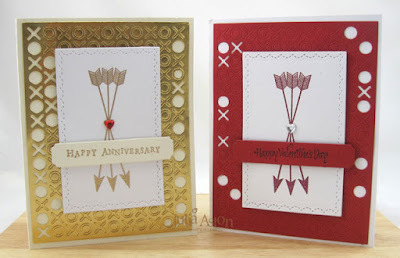 I made an Anniversary Card and a Valentine's Day card - just changing the colors and sentiments. 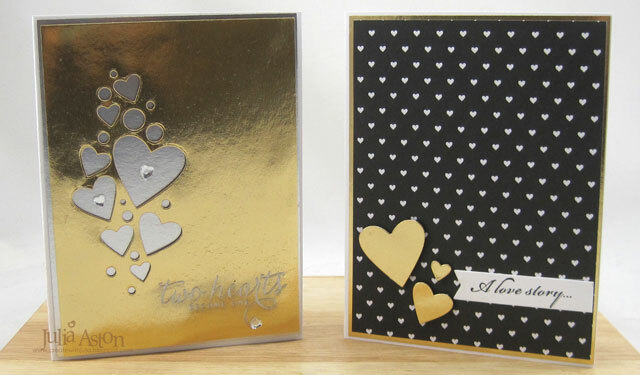 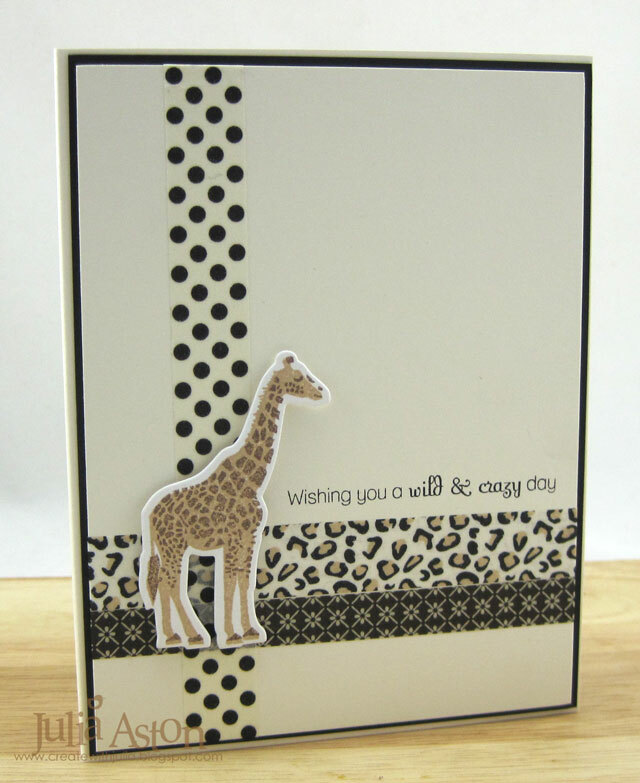 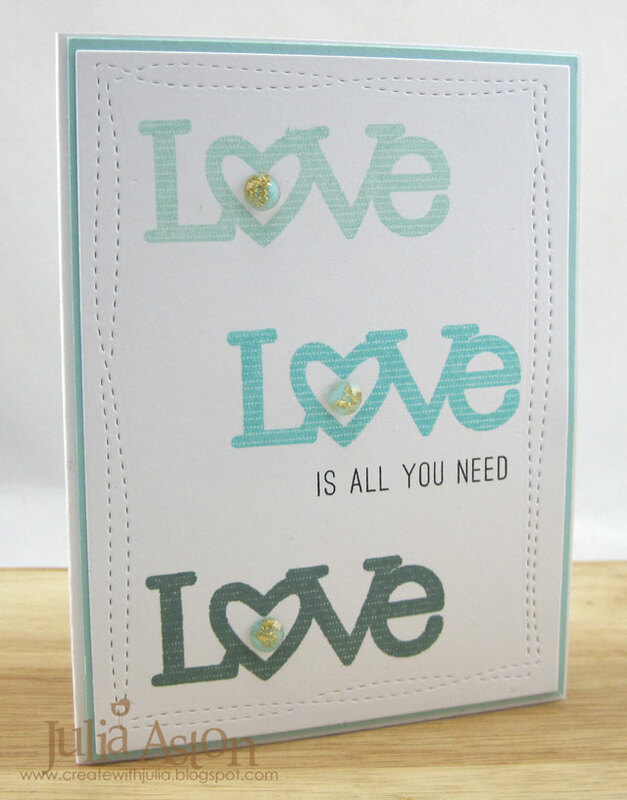 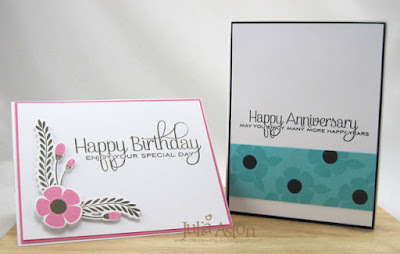 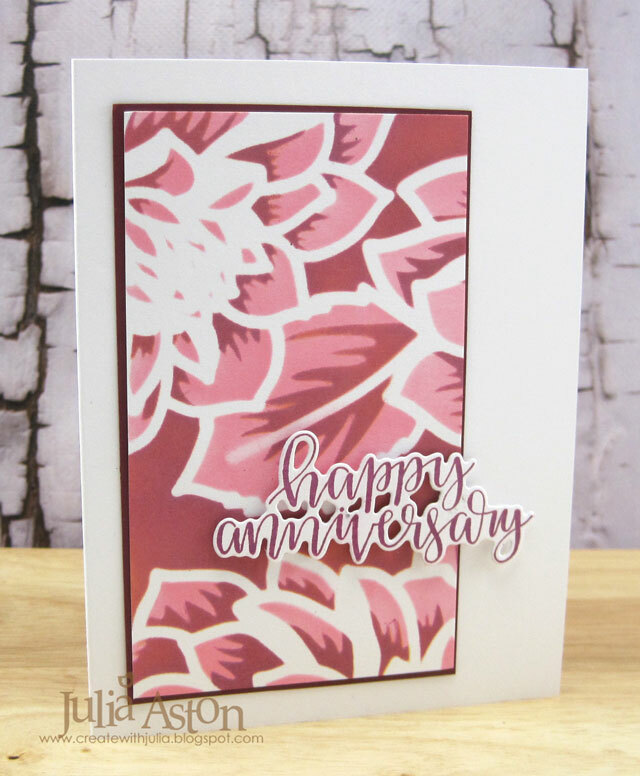 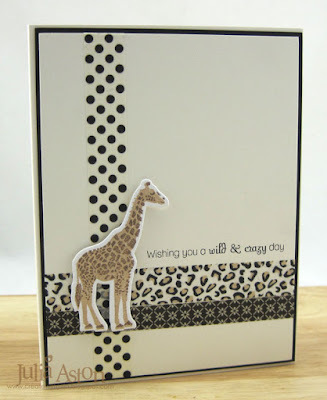 I die cut the background using Hugs and Kisses Coverplate die from MFT. 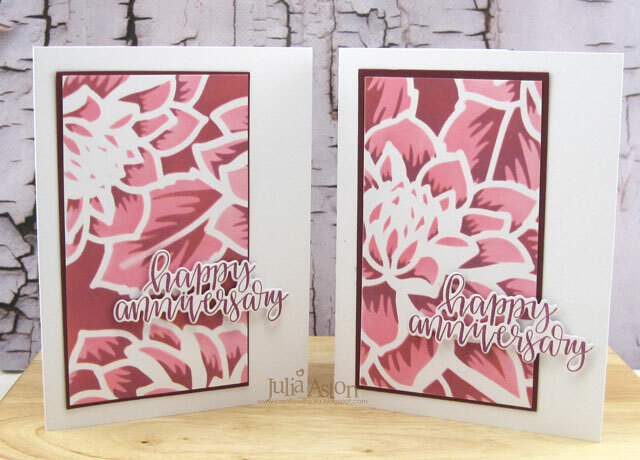 I die cut the center panels using Noted: Scalloped A2 die from PTI and I used the Sentiment Strip die from MFT for the sentiments. 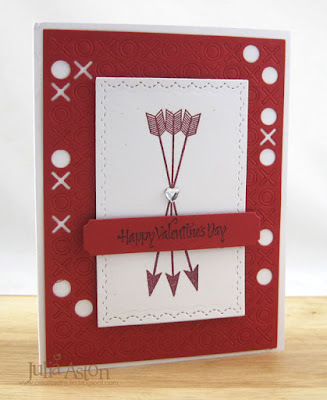 The arrow stamp is from Cupids Arrow by PTI (Retired). 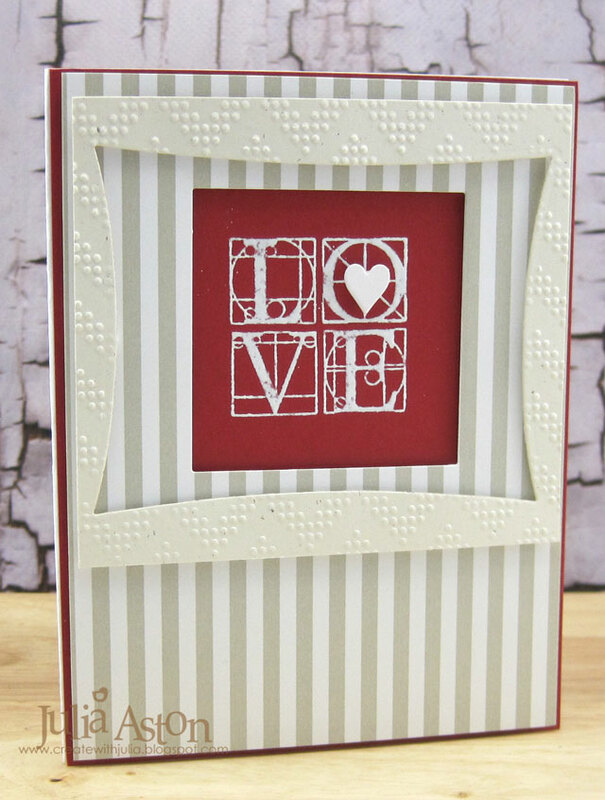 My card base and panel are white - the background is red as well as the sentiment strip and I embossed the arrows using Cranberry Embossing Powder. I used a clear heart rhinestone. 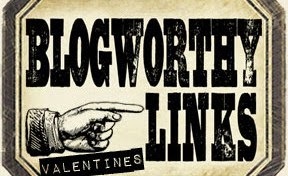 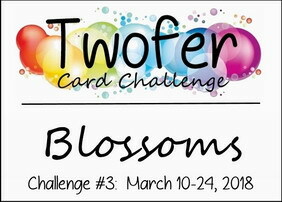 So come along and play with the Twofer! 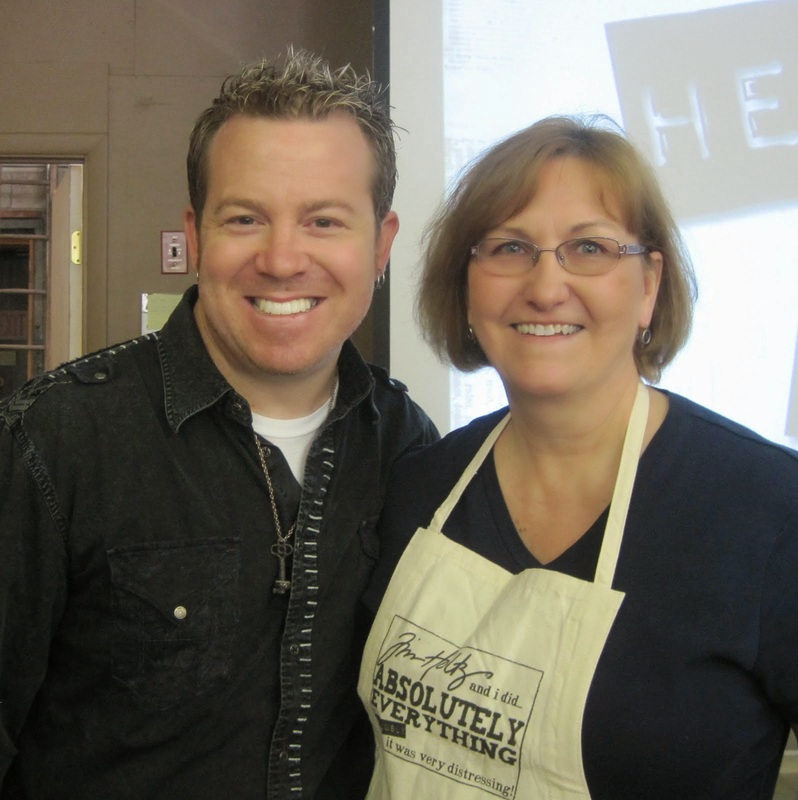 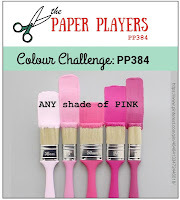 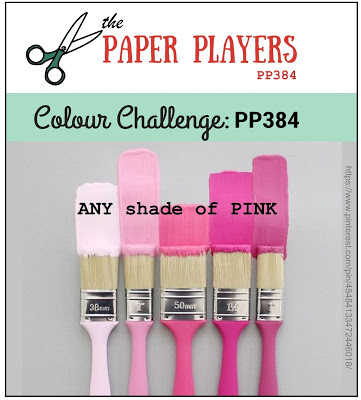 You'll find all the challenge details as well as meet the design team AND be inspired by their feathers Twofer's at the challenge blog here. Stamps: Cupids Arrow - PTI, Happy Valentines Day - unknown red bubber stamp, Happy Anniversary - Hero Arts. 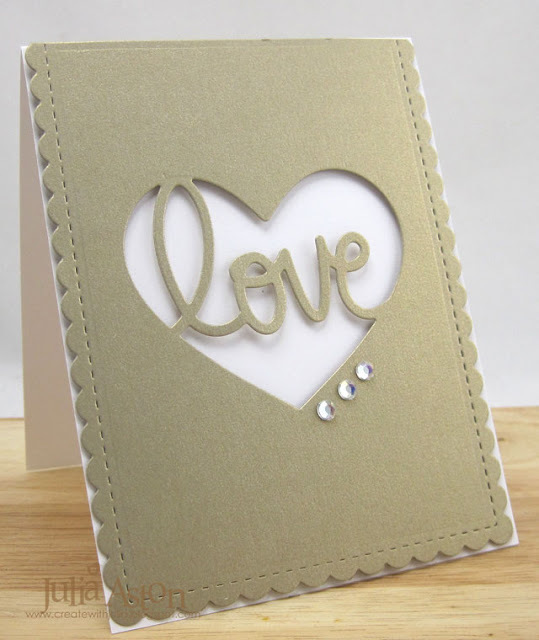 Paper: Vintage Cream Linen, White - PTI, Foiled Cardstock Stash - DCWV. 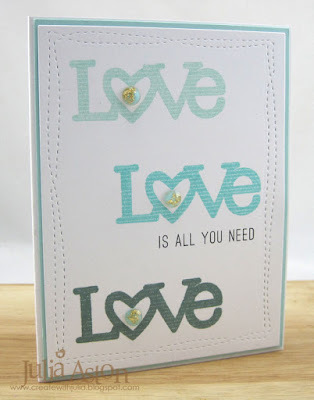 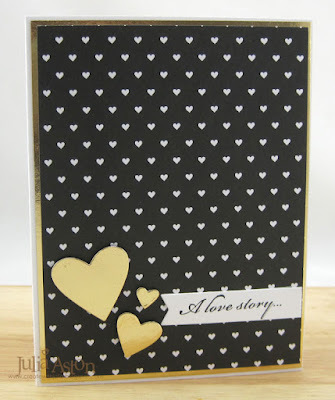 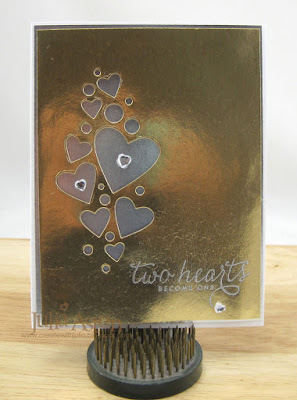 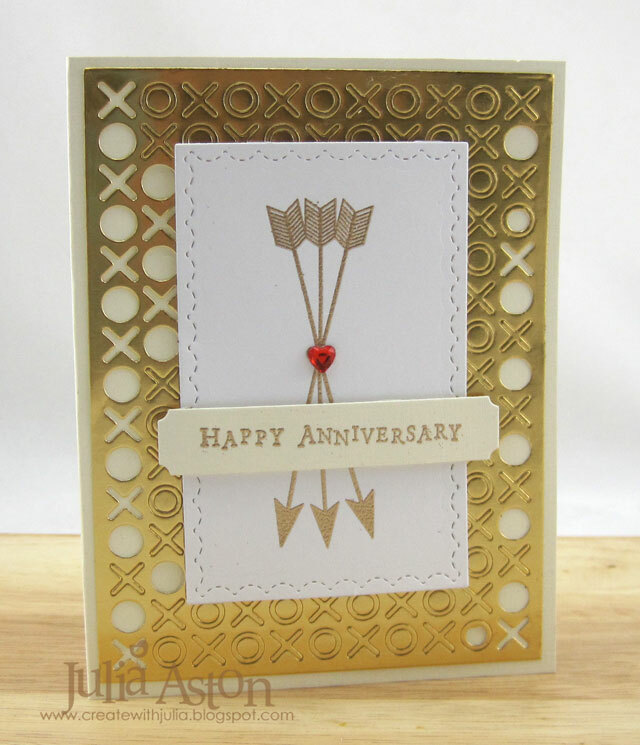 Accessories: Noted: Scalloped A2 dies - PTI, Hugs and Kisses Cover Plate , Sentiment Strips - MFT (retired), heart rhinestones, foam dots, Gold Embossing Powder - Ranger, Cranberry Embossing Powder - Adirondack. 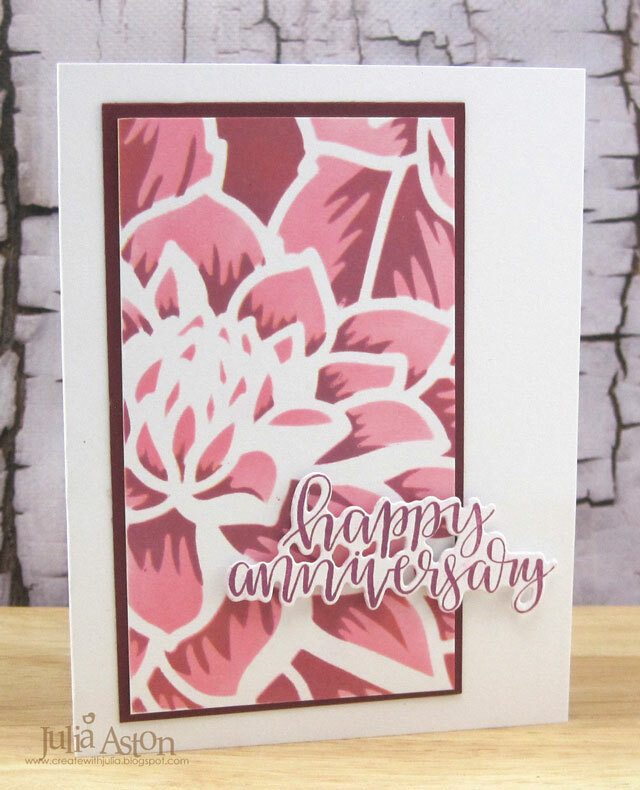 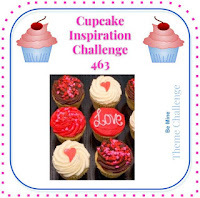 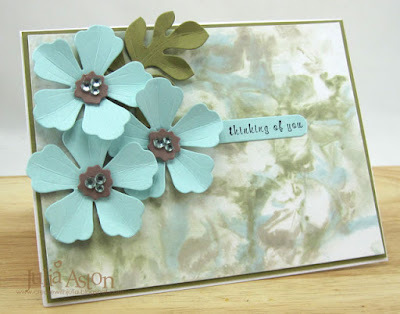 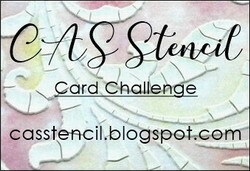 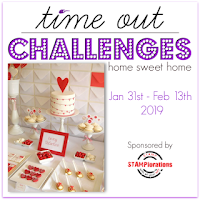 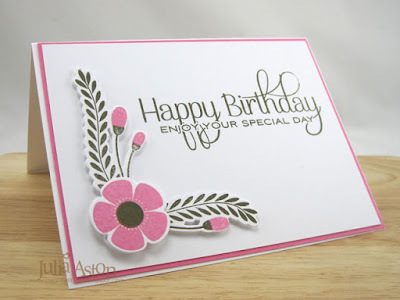 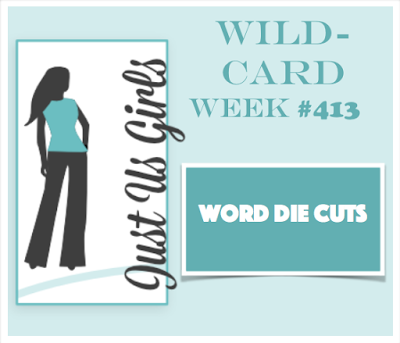 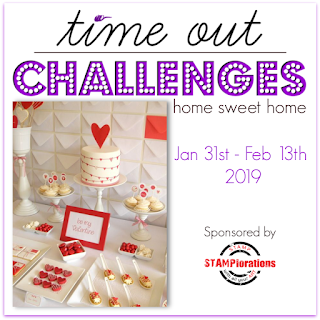 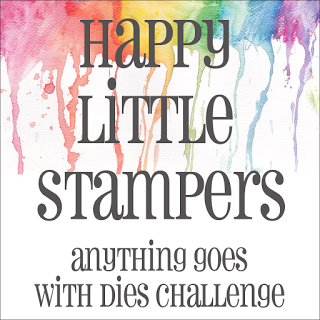 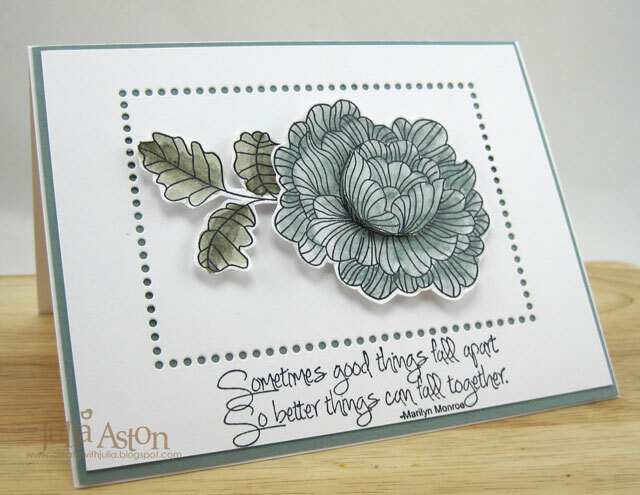 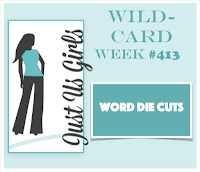 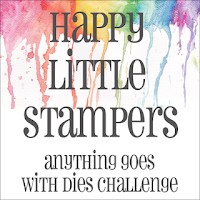 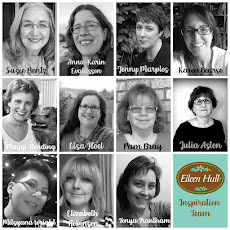 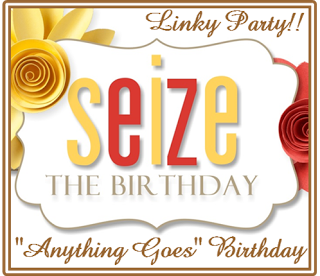 Today I'm sharing the last 10 cards I made for the Dare To Get Dirty Challenges over at Splitcoaststampers. 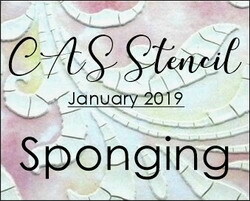 For my background, I rubbed Crackled Texture paste over a white panel, sprinkled it with Distress Glitter and let it dry. 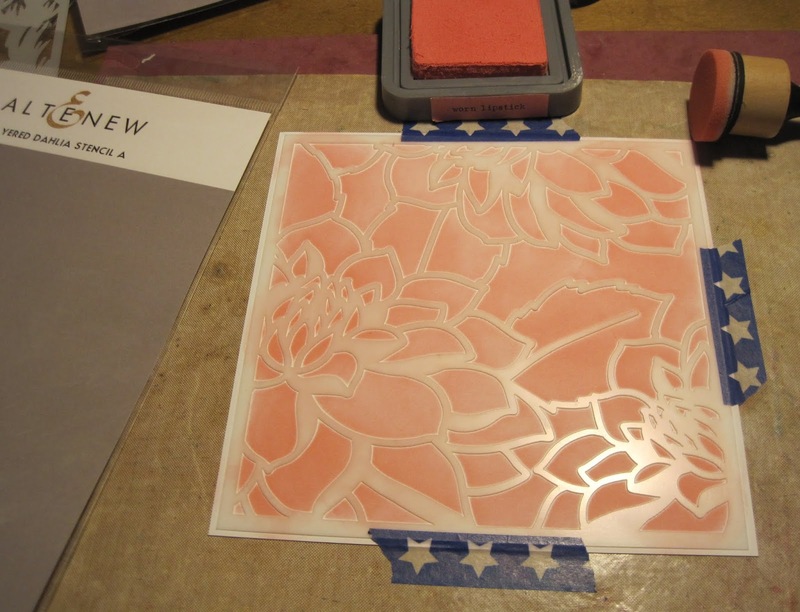 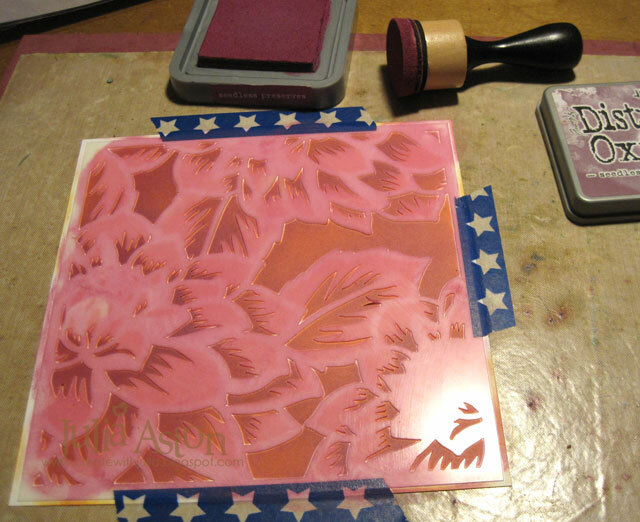 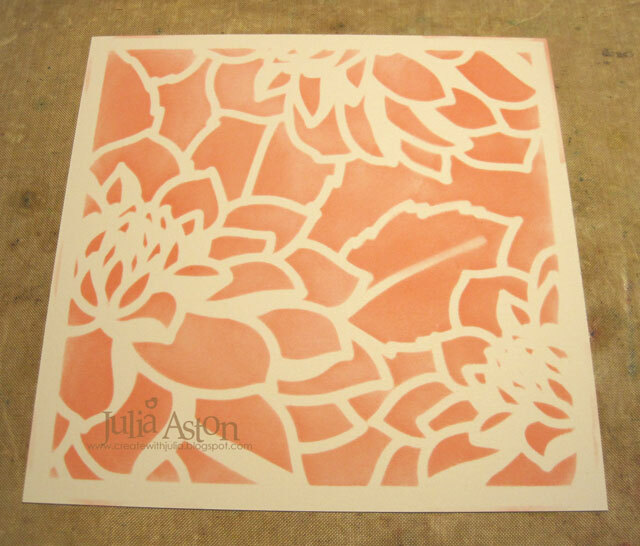 Then pressed the panel onto my craft mat where I had spread Distress Oxide inks that were spritzed with water. After drying that with my heat tool, I rubbed Distress Vintage Photo over the top with my finger to accent the crackle. 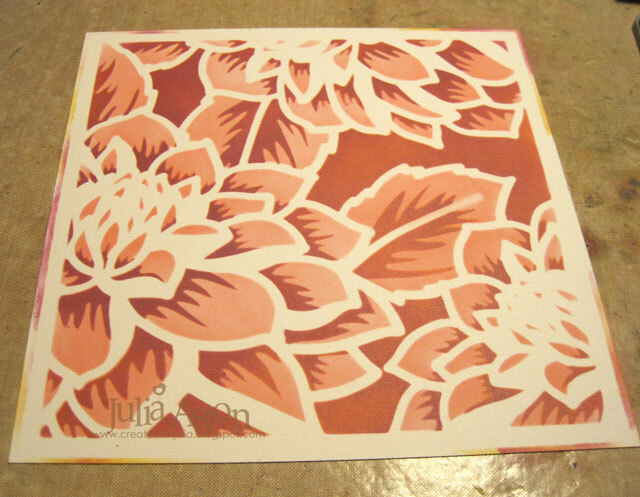 I die cut the Hello 3 times and adhered it over the panel. I antiqued my Vintage Santa by stamping him in Potting Soil ink and then sponging around him with Ranger Distress Tea Dye and Old Paper Inks. I then flicked water from the palm of my hand onto the panel to get waterspots. 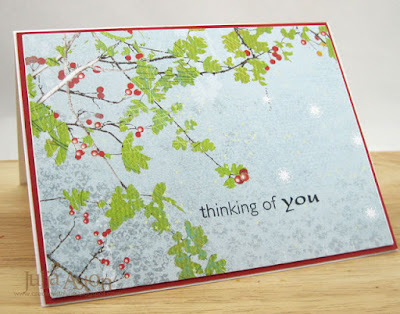 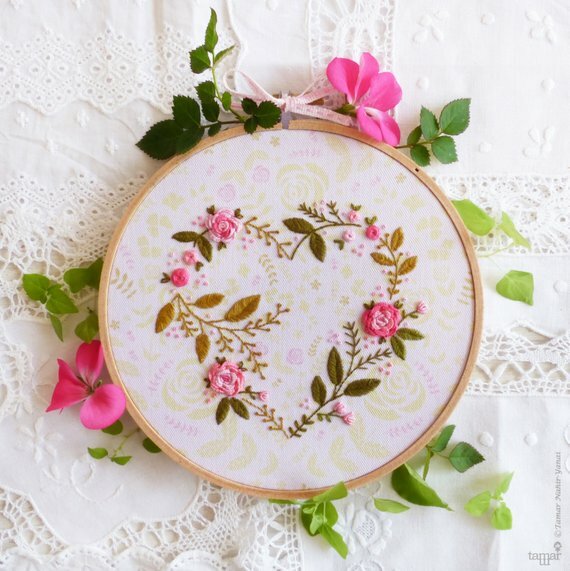 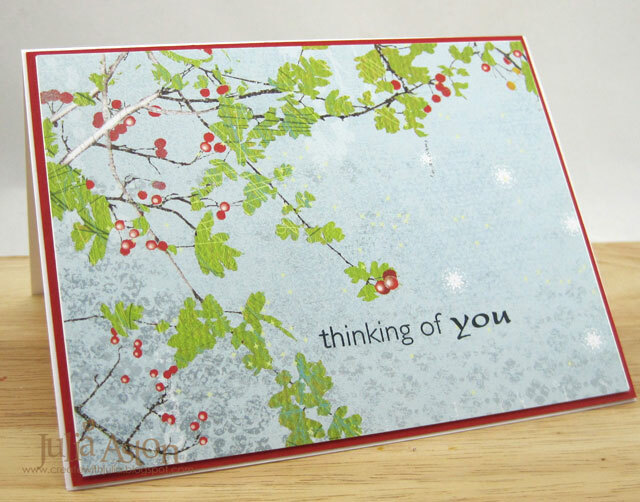 I added a sticker sentiment and a little holly sprig cut from a larger sticker from K and Co. 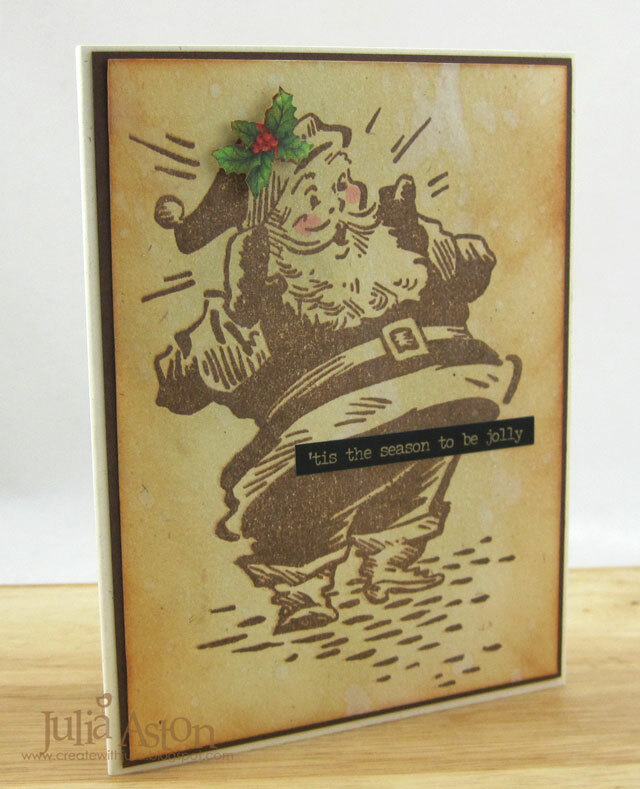 I used a Copic to give Santa his pink cheeks! I used the SCS Pop Up Box Tutorial - love these cards. 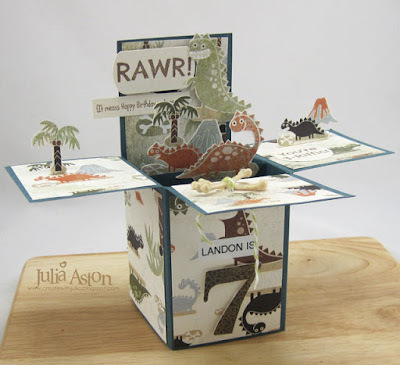 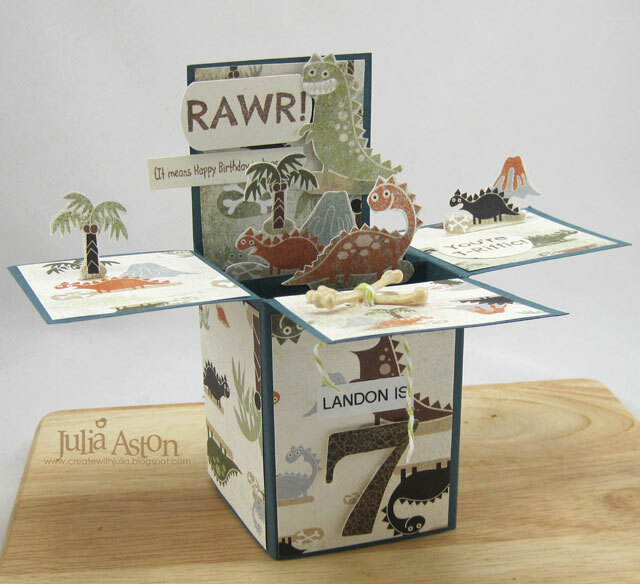 My grandnephew is turning 7 in Sept and loves dinosaurs - I knew I wanted to make this pop up for him. I made my background using shaving cream and re-inkers. 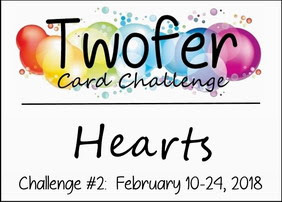 Challenge: Because We Love You - Use at least one heart. 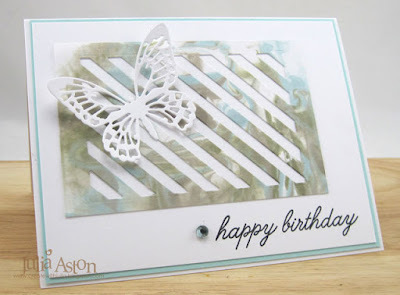 another card using shaving cream and reinkers for the background! I stamped my images with Archival black ink and then colored them with Distress Crayons using a brush and water. I stamped the bloom again coloring just the center part of the flower. 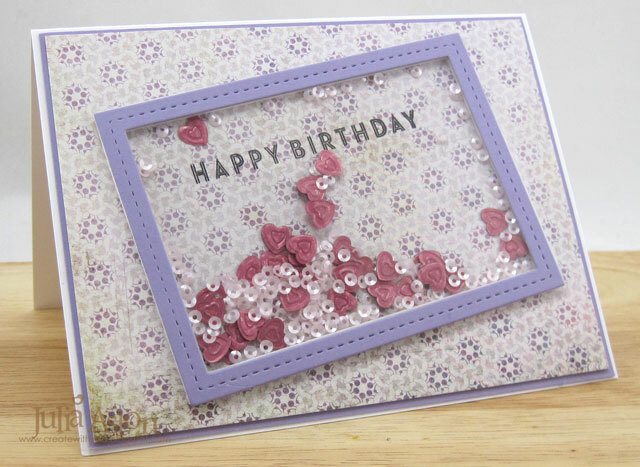 I fussy cut the images and layered them with foam dots inside the die cut dots framing. 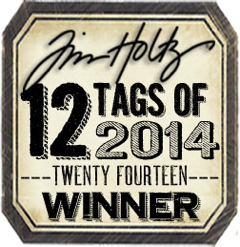 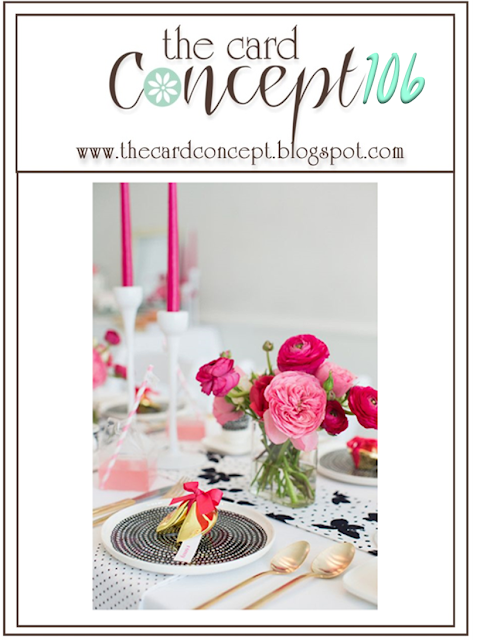 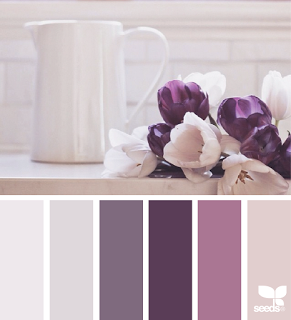 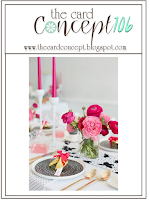 Accessories: Idea-ology Metallic Stickers/Holiday Talk, water (for flicking), Holly Sprig - K and Company. 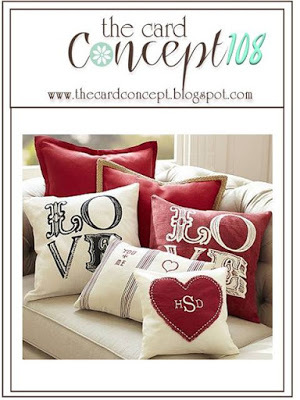 Accessories: Numbers Die - PTI, Idea-ology Boneyard, Bakers Twine, foam dots.